What is more important, the Journey or the destination? For me, I find that it is now about the journey and not the final destination you reach. In the past, I had always lived by setting goals and trying to achieve them. Sometimes reaching them, and other times coming up short. The highs and lows of living in a world that you get judged on your success. I have always wanted to be a ‘Racer’ of some kind. Whether it was on a bike or in a car. The thrill of the race, man against man, machine against machine. That rush you feel made the 9-5 go quicker. All that changed in 2016 when I had my first child. Everything before that now seemed pointless. No longer was I obsessed with bike spec’s, weekends spent racing or group rides with friends. Heck, I didn’t even know what day it was. Before a child, I thought I was busy and did not have enough time to train or ride. Now I’m delighted if I can ride for 2hrs in the morning while he naps. What I learned was that I was very fortunate to ride bikes when I could. Sure all my friends who did not have kids did not want to ride at 6 am before my kid woke up but that was ok. I take it when I can. And that’s the thing… you just adapt and learn to appreciate things more. I would always describe myself as a Mountain Biker. Since I was 12 years of age I raced almost every weekend back in Europe. It did not matter where it was. We would drive through the night, grab a ferry just to get to a race. As I grew older I started to do Cyclocross and Road Race a bit more. That led me to Gravel Riding. The perfect mix of all those styles of riding. It allowed me to get the MTB fix, get kilometres in and hone my CX skills. When you have a 2-hour window to ride the TCX was the first bike I grabbed. I loved that I could get out on quiet gravel roads with no traffic and recharge my batteries both mentally and physically. This was my new escape from the world. I came back from a bike ride knowing I gave it my all, seen epic views and was ready to get back to my 24-7 job being a Dad. After a while you find other people in the same situation and with the same interests and you tend to migrate towards each other. 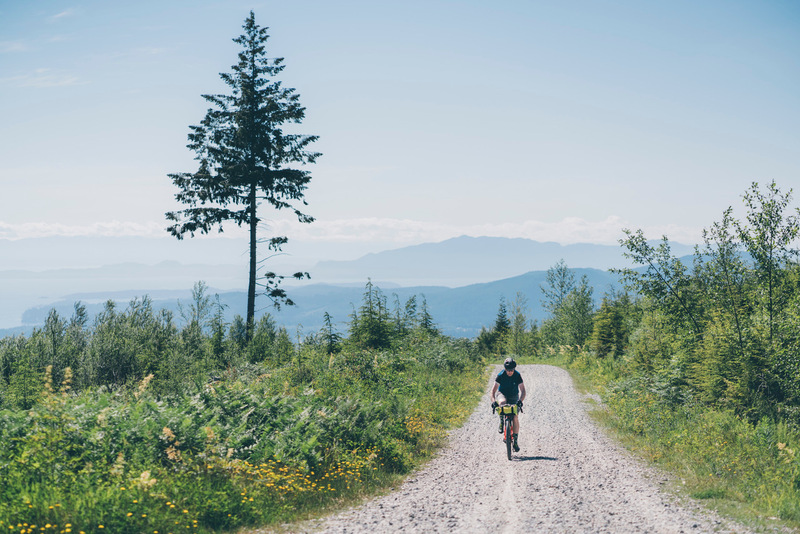 The sport of Gravel riding is fairly new and still quite underground. You hear rumours of new routes, epic rides that people have done and cool events. One such event was the Swift Camp out. A global gathering of people who share an interest in riding bikes, fully self-supported and having a good time. The Vancouver chapter of this event was hosted by the @foundinthemountains crew. 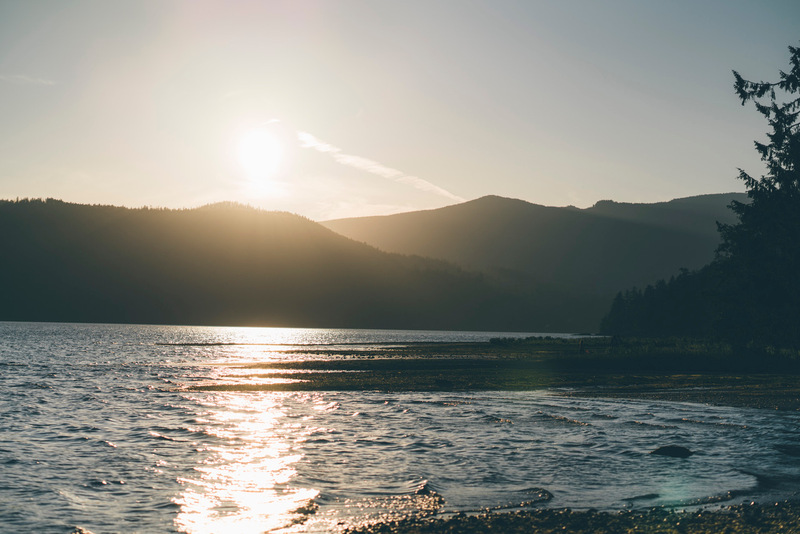 A bike ride from Vancouver to Porpoise Bay on the Sunshine Coast. 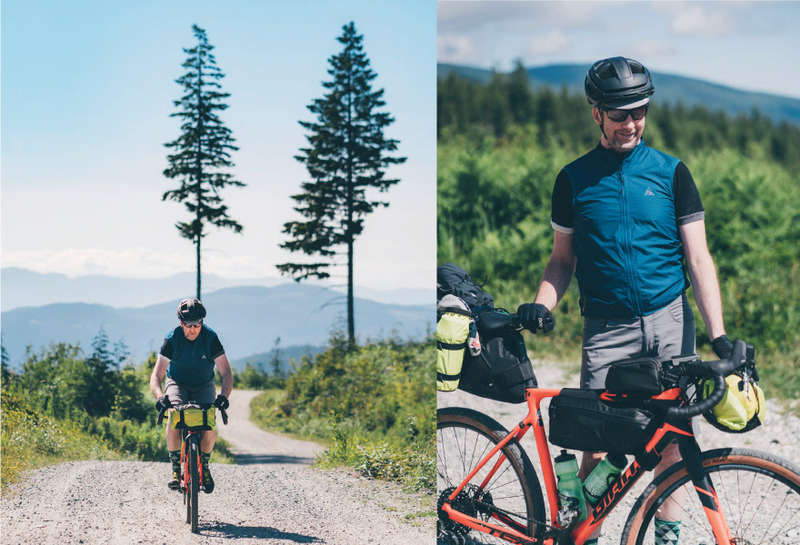 For this ride, I teamed up with fellow RADventure Squad Team member Ben Johnson to take the most gravel based route we could. Ben was fresh off his Vancouver Island trip and had his set up dialled. I was trying to opt for the less is the best option. I packed my Giant Scout bags early on Saturday morning and left the family to ride toward the liaison point at Horse Shoe Bay Ferry Terminal. I was greeted by about 40 fellow riders along for the adventure. The plan was to board the Ferry and head to the Sunshine Coast and ride to our overnight destination. Once off the Ferry we all regrouped and rode to a local Brewery called Persephone in Gibsons, BC. At this point, we topped up on local cured meats and beer and headed for the gravel. 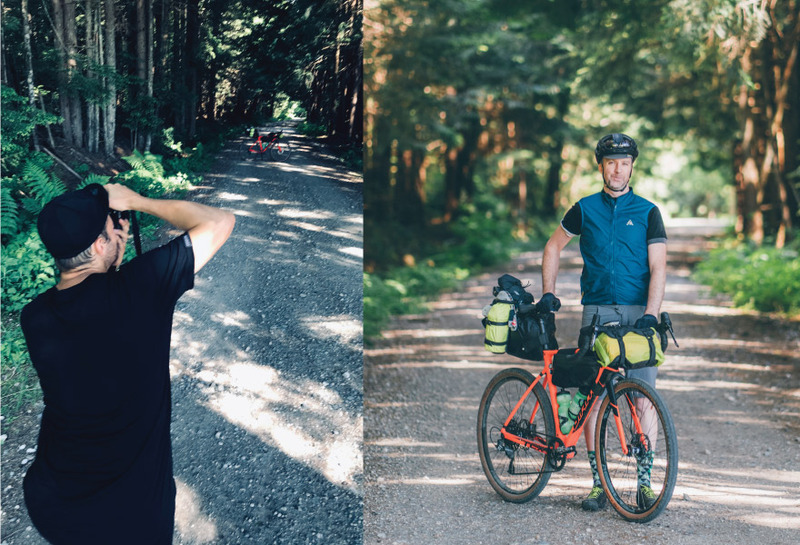 I was riding my trusty TCX Advanced SX equipped with 650 wheels, Ben was on his Toughroad SLR GX packed full of camera equipment and camping gear. The Idea was to travel across the mountains and meet up with the rest of the riders at the campgrounds. When your bike weighs in at about 50+lbs all packed up you tend not to challenge for KOM’s on the hills. Instead, you sit back get traction, take in the views and have great conversations with friends. What you get to see out there when you lift your head up from the Garmin is truly mind-blowing. These times have made me fall back in love with bike riding. 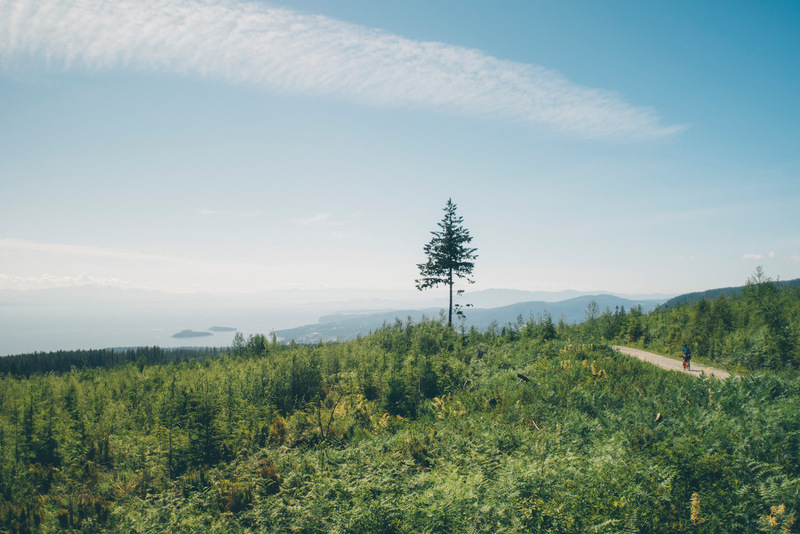 Especially when you are on the coast in BC and know that there is another epic view over the top of each climb. As we climbed out of Gibsons and up above Roberts Creek you get one such view. We crested a hill and exited out of the tree-filled canopy to be greeted by the ocean and a bunch of small islands dotted out in front of us. The sun was shining and the sky was blue. 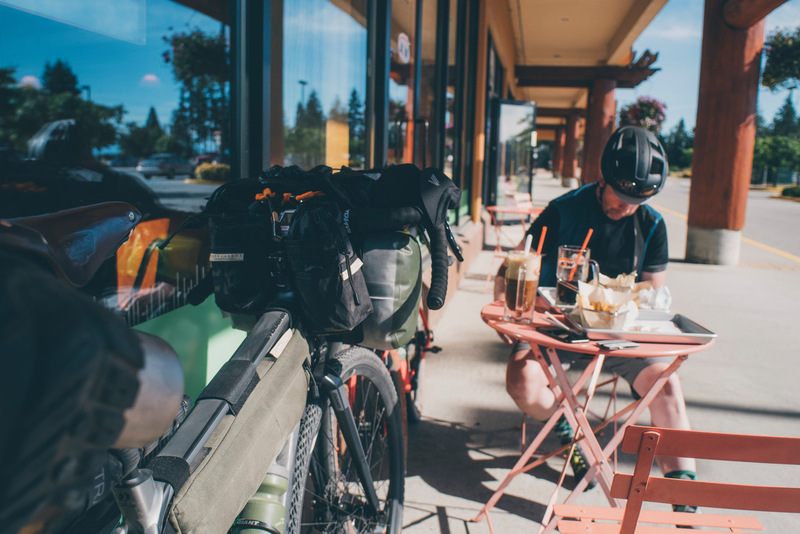 The B&K Logging Road was behind us and we traversed the Dakota Bowl FSR before descending down the Sechelt Wilson FSR into Sechelt for one last stop to grab the essentials for dinner and our night of camping. 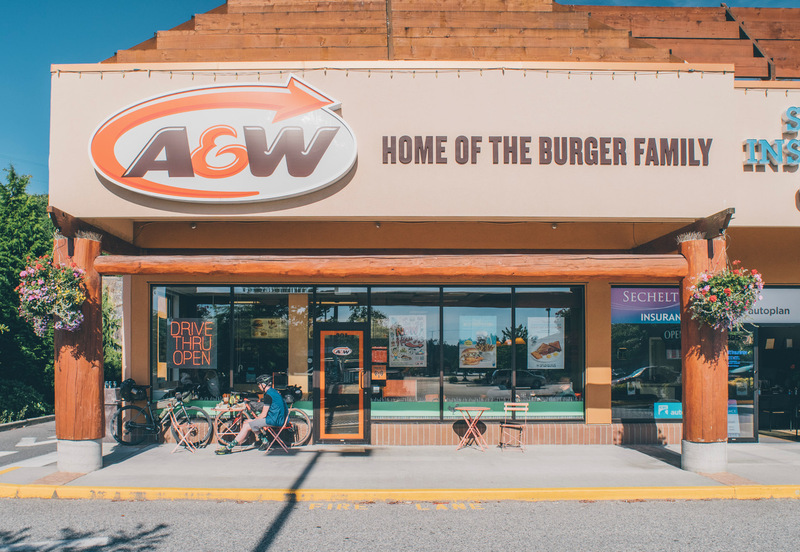 After all that calorie burning we stopped at an A&W for a burger to get us to the campsite. It sure did hit the spot. The last few kilometres roll to the campsite with full stomachs set us up nicely for an evening of hanging out and exchanging stories of our adventures of earlier that day. 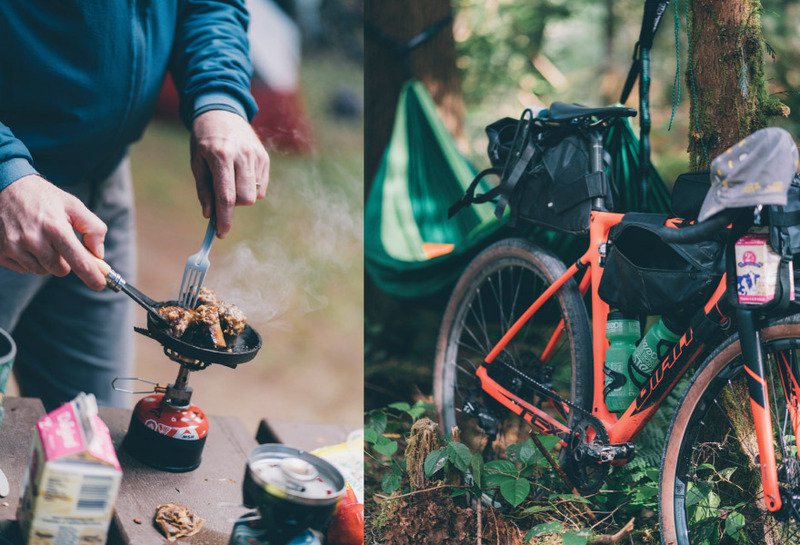 The thing about Gravel riding and bikepacking is that you always have a story. Each one is funny or wilder than the last. One of those moments was when I pulled the world's smallest Skillet out of my seat bag much to the humour of everyone. It sure worked a treat on that earlier purchased local meats. Also pulled out of the bag was a carton of Milk. As an Irish Man, I can be found not too far from a cup of tea at all times. As the sun went down on a great day we were treated to an amazing sunset while sitting on the beach. As mentioned earlier I had opted for the lightweight setup and set up camp with my hammock and sleeping bag. Luckily the weather was on our side and the temperatures were in the low 20’s overnight. The next morning we packed up our bikes and chilled at the site. With lots of conversations going on we let the time slip. We had a ferry to catch and little time to get there. 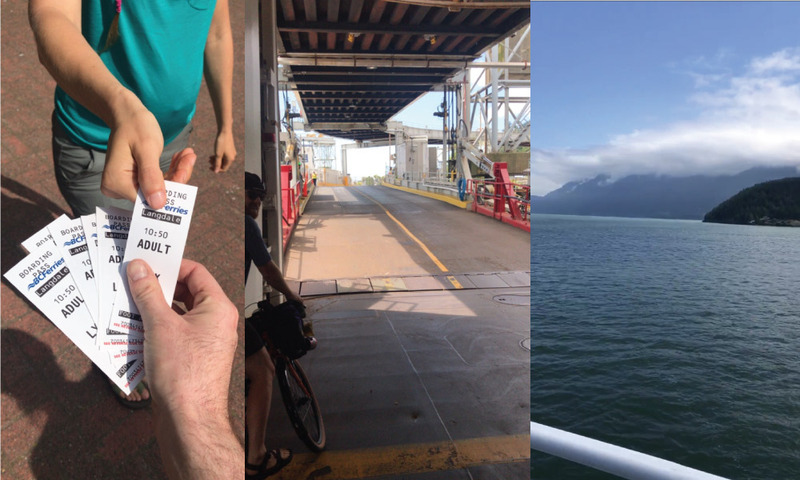 We hit the road and began to time-trial to try to make the ferry back to Vancouver. We went as fast as you can weighed down and non-aero just making it in time to board. Sitting up on the deck of the ferry we take in the views that British Columbia’s Howe Sound Inlet is known for. One last escape from the rat race before we disembark the ferry and back to everyday life. That’s what the bike can do, it can bring you a new perspective on life when you need to recharge. Moments become memories, kilometres become building blocks and the urge for adventure grows.